Still the perfect family vehicle. For a number of years now the SUV and its smaller crossover companion have been muscling in on the family vehicle territory previously dominated by minivans and to a lesser extent, sedans. 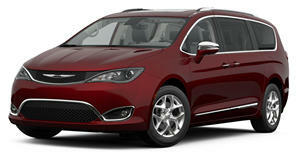 The situation has shifted so much that some major manufacturers have that isn’t a high-riding crossover-style vehicle. Chrysler though has stuck with the minivan segment and has been rewarded for its efforts after the was named ‘Family Car Of The Year’ for the second time in a row. While historically minivans are considered to be unexciting vehicles that are only valued for their spacious interiors, the Pacifica aims to change those perceptions with its bold styling, advanced technology and versatility. It offers strong performance from its and can also be had in hybrid form (a first in this segment) which allows for over 30 miles of all-electric range. Prices range between $26,985 and $44,445 MSRP which pits it against crossovers and SUVs that simply cannot compete with its 8-seater configuration and spacious interior. Add to that over 100 available safety and security features, as well as the Uconnect Theater rear-seat entertainment system and this minivan suddenly starts to make a whole lot more sense than those cramped crossovers that major on style but fall short on practicality. Can Chrysler make the minivan cool again? Moms and dads of the world, it's time to get smart with your money and buy a minivan. If you’re after a practical and user-friendly minivan, the Chrysler Pacifica should definitely be on your radar.